Step 1: Open or start a new score in Notion. 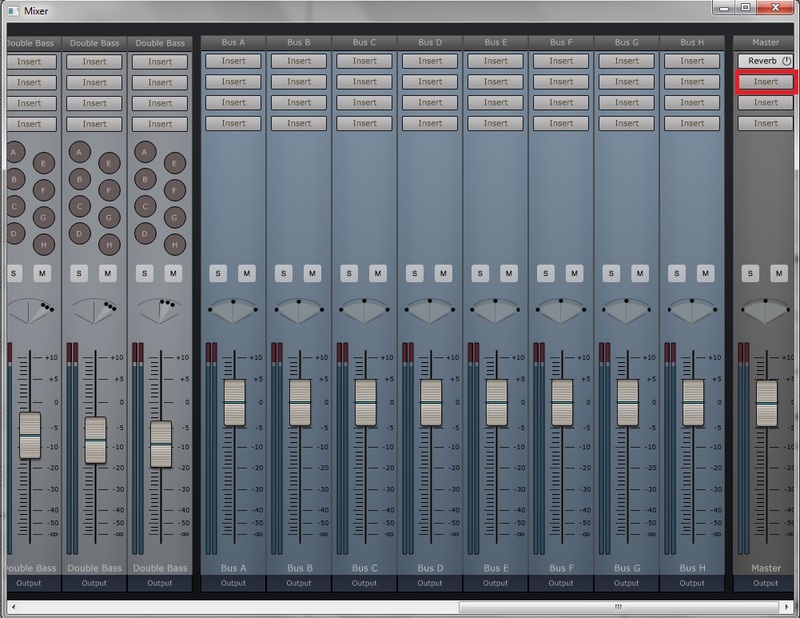 Step 2: Exit Score Setup and click on the mixer button to open the mixer. 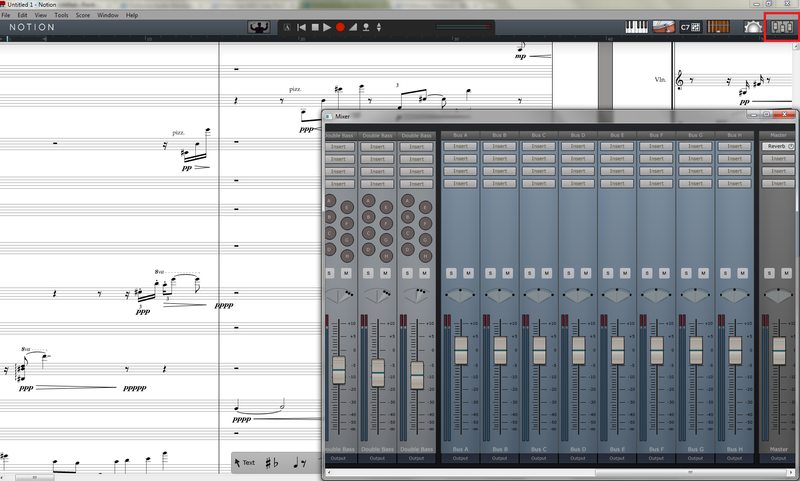 Step 3: Press one of the insert buttons above the master track, buses, or individual instruments. 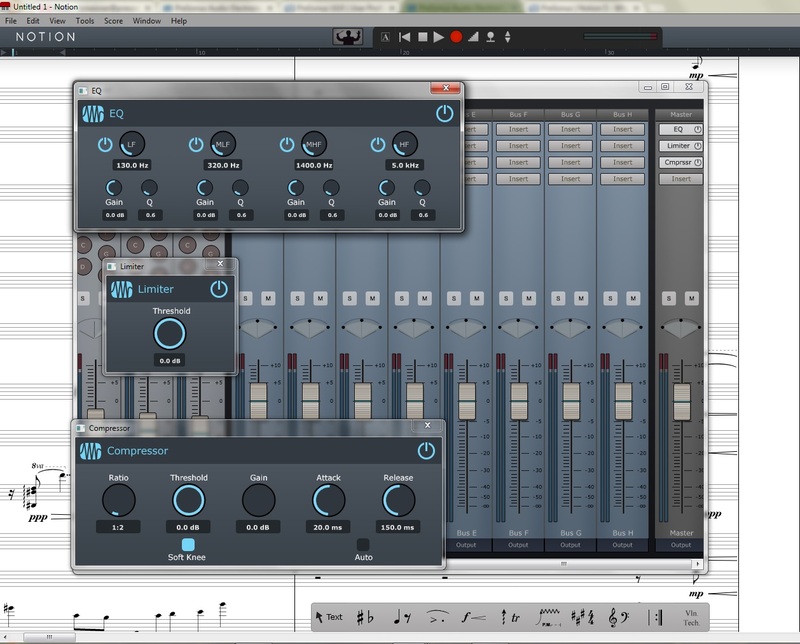 Step 4: Choose the Eq, Compressor, or Limiter from the list of VST plug-ins. Enjoy! 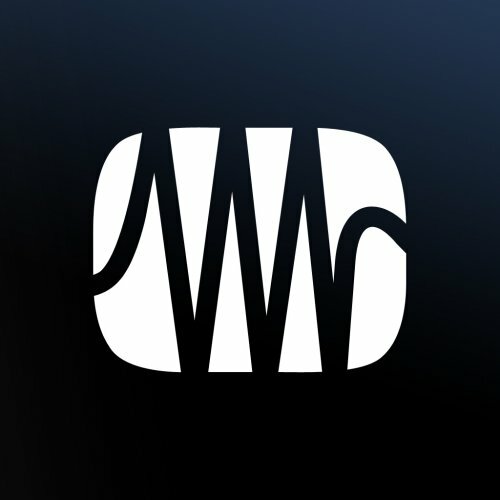 How can I use my VST Plug-ins?